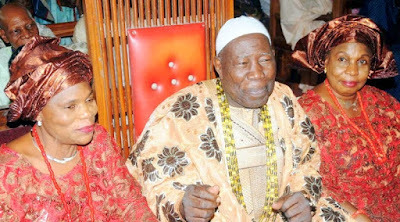 A senior wife to the Olubadan of Ibadan land, Saliu Adetunji, identified as Kudirat Aduke, is dead. Ms. Aduke died in the early hours of Thursday, Premium Times gathered. A statement by the Director , Media and Publicity to the Olubadan, Adeola Oloko , said that the late queen died in the early hours of the day at the age of 71. “The Olori passed away in the early hours of Thursday December 21 , 2017. Until her death, she was the Iyaloja of Bolade , Oshodi Market , Lagos,” the statement said.